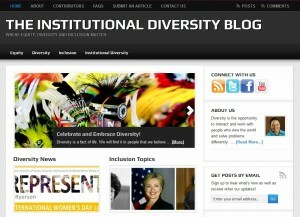 The Institutional Diversity Blog provides a platform to discuss equity, diversity and inclusion (EDI) across various sectors (i.e. postsecondary education, business, and government). SSS for Success created this Branded Blog and continues to ensure that the site stays poised to become the preeminent independently-owned discussion hub for EDI topics and best practices by managing its administrative and editorial components.